The name or shape of pitha can vary district to district. 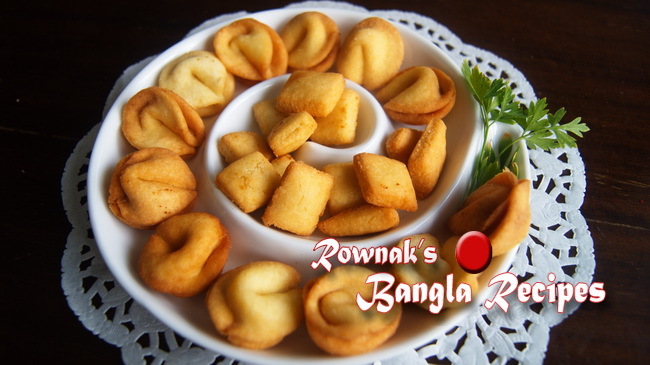 Sim Ful Pitha is actually from Noakhali which has beautiful shape bean flower though you can make it in any shape. 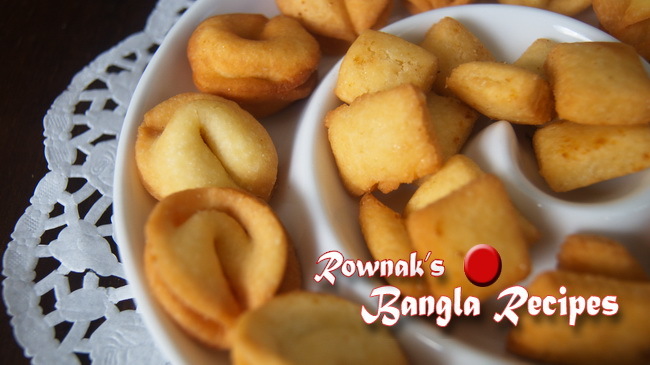 I used to make thick bread and cut into square; then deep fry it which is called Dimer pitha. 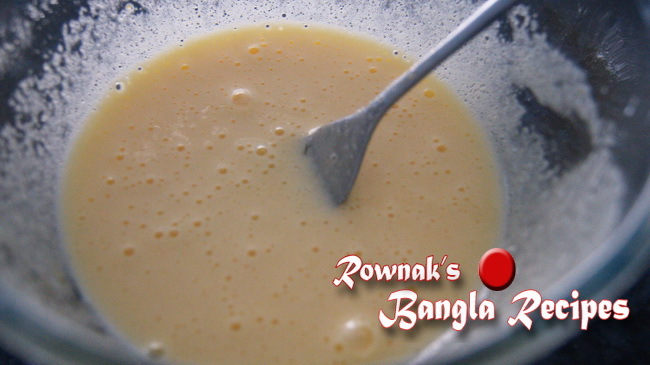 Beat egg, sugar and salt together till sugar and salt dissolves. Add flour little at a time to make dough (flour could less or more to depend on egg size). 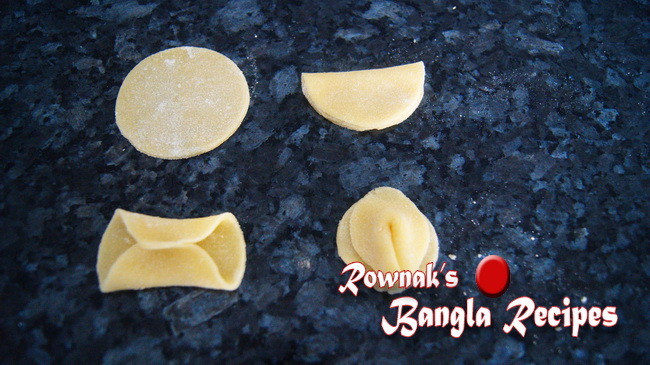 Divide the dough into 4-5 balls and roll each ball into flat bread. Cut each bread with cookie cutter and fold it to follow photo or video. Heat the oil and fry it on low heat till it becomes light golden. Sim ful Pitha/ Dimer Pitha / Egg Snack can keep 1-2 weeks airtight container. apu amar golap pitha tar chini niche jome shokto hoe gase amy ki vol korlam bojte parse na.amake janaben pls.thanks valo thakben. chini r pani porimap thik hoy ni. chini beshi hoyeche mone hoy.